Lotto247 Casino will then reward you with a bonus (Welcome Bonus is for new players only). The terms and conditions of the bonuses vary between different casinos and might also change over time and between different countries, so it is important to compare the different offers and read the T&C for Lotto247 Casino before signing up. “Enjoy non-stop fun at Lotto247!” Are you into lottery and slots? then welcome to Lotto247 Casino, which hosts enormous lottery jackpots and blasts its bright looks to the max. This jovial online gambling firm has opted for shades of blue and gold to appeal to its clients, and it seems to be working. 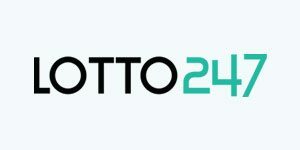 Verified by Comodo and licensed by the jurisdiction of Curacao, Lotto247 Casino puts safety first, and will not allows any players under the legal age of 18 to register with it. The website is also owned and operated by Secure View Services Limited, which puts a stamp of trust next to its name. What’s more, the site is accessible in a wide range of international languages. Some of the biggest names among game developers have made their valuable contribution, especially when it comes to Lotto247 Casino’s slot arrangement. We are talking Microgaming, Novomatic and Inchinn, to start with, all of whom have put forward their spectacular titles for your eyes only! Moreover, at this professional online gambling venue you can enjoy a wide diapason of instant win games, lottery, Keno, and scratch card games. All in all, Lotto247 Casino offers what a casual gambler would find attractive, as well as some specials, and is the ideal venue for those who like to relax! While not enormous in number, Lotto247 Casino’s video slots have gigantic reputation. Microgaming’s classics like Skull Diggery and Big Kahuna Snakes and Ladders have nestled among the fan favourites, as well as Novomatic’s Pumpkin Master and Cashtrovaders by Inchinn. In addition, you can play on thematic games like Hidden Hoard and Star Match. We have not been able to find any table games in Lotto247 Casino’s catalogue of games. The venue does however offer an attractive collection of other sorts of games, so you should be able to find a title or two to your liking. Not appealing to the needs of table game lovers, the lotto expert did make sure to please clients in other ways, by offering ranges of other games. At this charming online gaming venue you can enjoy a wealth of traditional games such as Keno and of course, lottery. Regarding the latter, lottery fans can revel in UK Lottery, France Loto, USA Powerball, Mega Millions, Oz Powerball, Mega Sena, El Gordo, La Primitiva and EuroJackpot, for instance. In addition, you will stumble upon a great assortment of scratch card games, both branded and miscellaneous. The likes of Halloween Scratch, 100 000 Cash, Full Bloom, Bicho Mania, Raid the Piggy Bank, Moorhuhn Scratch, Super Shamrock, Elephant Scratchcard, Fruity Flurry, 777, 33 Chances, Horseshoe Scratch, German League Scratch, and Eurocup Scratch are all at your disposal. There are no live dealer games in Lotto247 Casino’s portfolio. The operator is currently focusing on a different type of content that will likely not suit the preferences of live casino lovers. Appealing to a vast number of international clients worldwide, Lotto247 Casino makes sure all of them are chuffed to bits. Alongside the great offering, this online gambling establishment takes care of your banking matters and deals with them quickly. The online casino accepts dozens of globally utilised banking methods, ranging from ewallets and credit cards, to bank wire transfers and options specific to a specific country or area. Thus you can go for major electronic money wallets like Neteller, Skrill, QIWI, Trustly, Paysafe Card and Entropay, or cards Visa and MasterCard. There are also fast transfers like Sofort Überweisung and GiroPay, with Euros and American dollars as the accepted currencies. As far as the country-bound options go, you can utilise Przelewy24, Banco de Brasil, Boleto Bancario, abaqoos, Todito Cash, Finnish bank, MTS and Multibanco, among others. It is also quite easy to get in touch with Lotto247 Casino’s customer service team. The members are active on social media, and you can easily find them on Facebook and YouTube. Another thing you can do to chat with a team rep is to select the call me back option. All you need to do is register and log in to receive a call from an agent. This is likely the most efficient and in fact the preferred way of communication for most Lotto 247 Casino players. The online casino also operates a Live chat facility, but a minor flaw is that it is not open all day long. You need to check if there is an agent online on their ‘Help & Contact Us’ page. Furthermore, Lotto247 Casino offers email support, and not only in English. You can drop them a line in Polish, Portuguese, Russian, Czech, Romanian, Hungarian, German, Spanish and French. Besides the FAQ list, lastly, you can opt to sing up, subscribe, and get emails on a regular basis about updates and fancy promo deals.